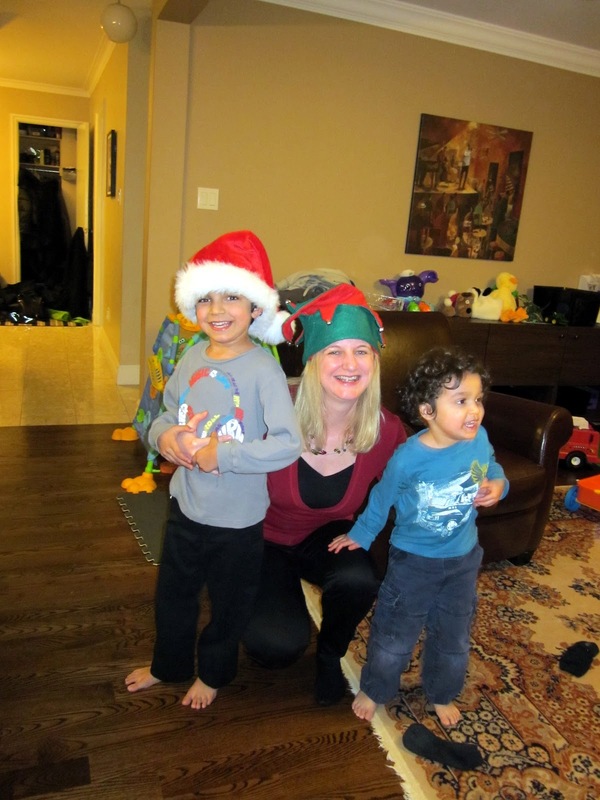 Christmas is a wonderful time to be with one's family. 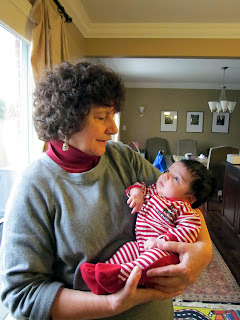 I was in Toronto for Christmas visiting my son and his family and my daughter and her partner. We did lots of family things together, like last-minute Christmas shopping. 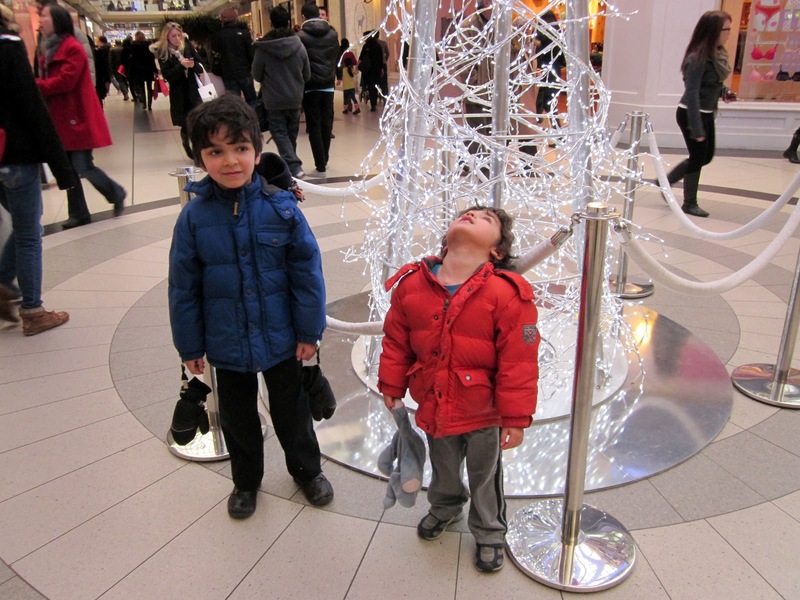 In this picture, my grandson Max is looking at all the people in the mall while my grandson Charlie is looking up at all the brilliant, glittery Christmas decorations. We also decorated the Christmas tree. Be careful boys! You are going to tangle Daddy up in the lights. We wore Christmas hats and had a party. Here Max and Charlie are on either side of their Auntie Sarah. We decorated Christmas cookies. They were almost too pretty to eat! I spent a lot of time cuddling my new granddaughter, Georgia, who is not quite 2 months old and a real little doll. One of the best Christmas treats of all! Forgot to add Marilyn to the last mesage!